Beautiful three bedroom cottage located half hour from Kingston and an hour and a half from Ottawa. 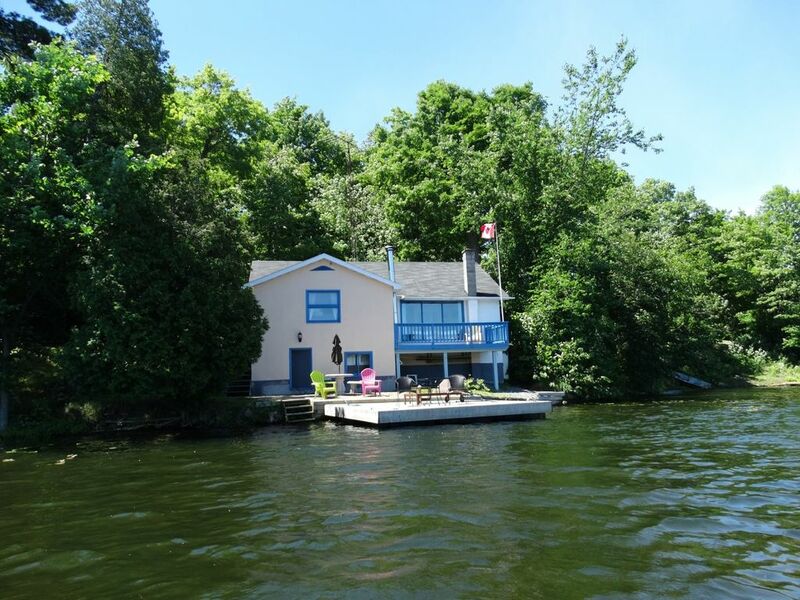 Cottage is conveniently nestled between Ottawa and Kingston on Benson Lake which is part of the Rideau System. Benson is known for its excellent fishing and fantastic views. From the cottage you are able to enjoy 5 different lakes without having to go through a lock. (Benson, Mosquito, Clear, Indian, Newboro). Enjoyed our stay!!! From the beginning we thought it was really out of the way but after a night we actually enjoyed it. It’s very quite, the bay was nice not busy with boats etc. Owner was friendly and helpful.